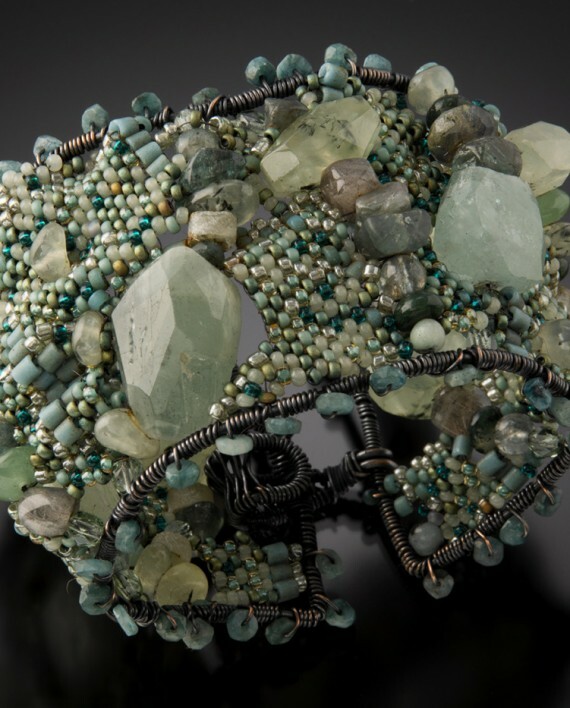 A chunky, delicious statement cuff combining textures of rough cut stones and gems with wire wrapping and bead weaving. 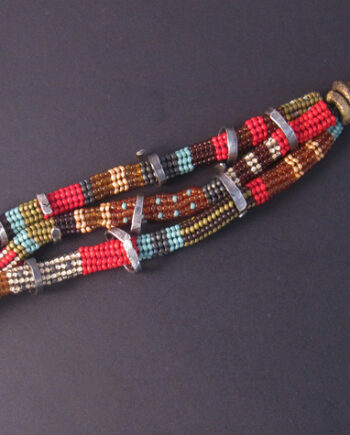 Tiny glass seed beads, Vintage European, from Czech Republic and Japan- hand woven, bead by bead with a needle and fishing line. 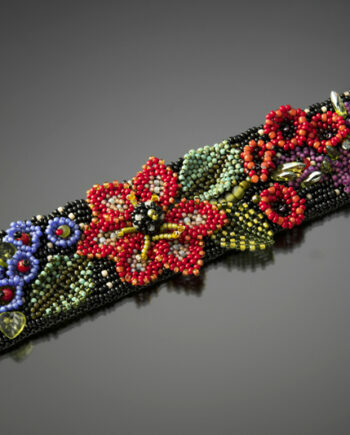 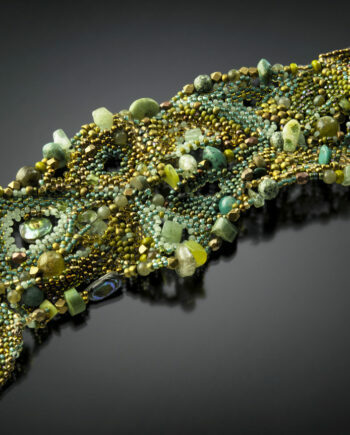 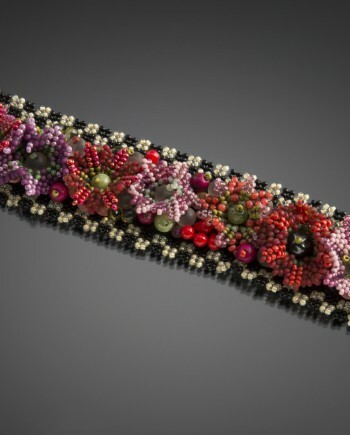 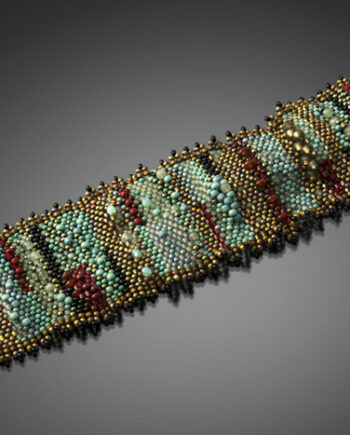 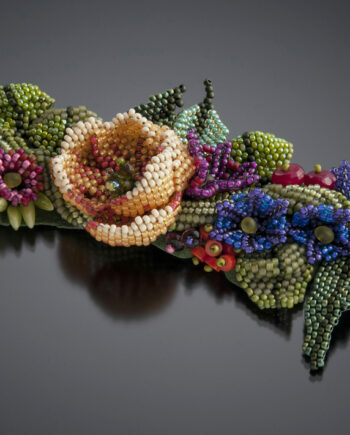 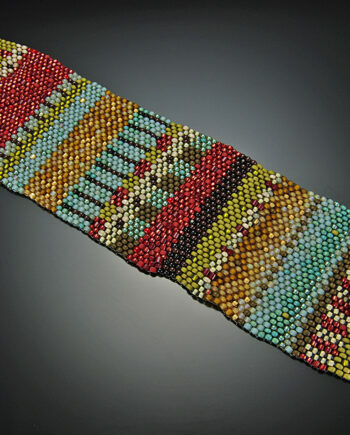 Beadwork is stretched between hand wrapped copper wires, strung with hand cut gemstones and beads. 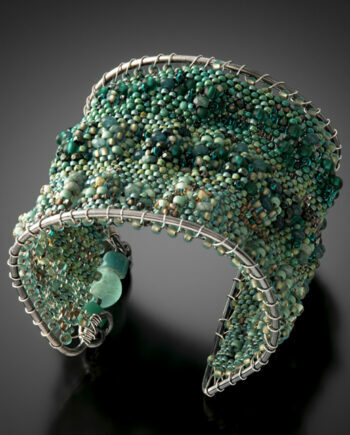 Cuff is constructed on an armature of hand wrapped wire. 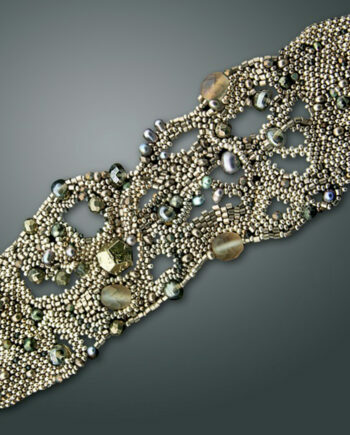 Clasp closure of wire wrapping. 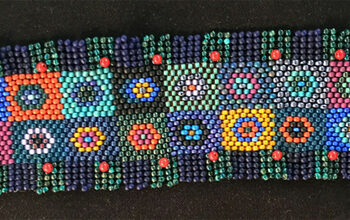 Worked in a free form method, incorporating peyote stitch and herringbone stitch. 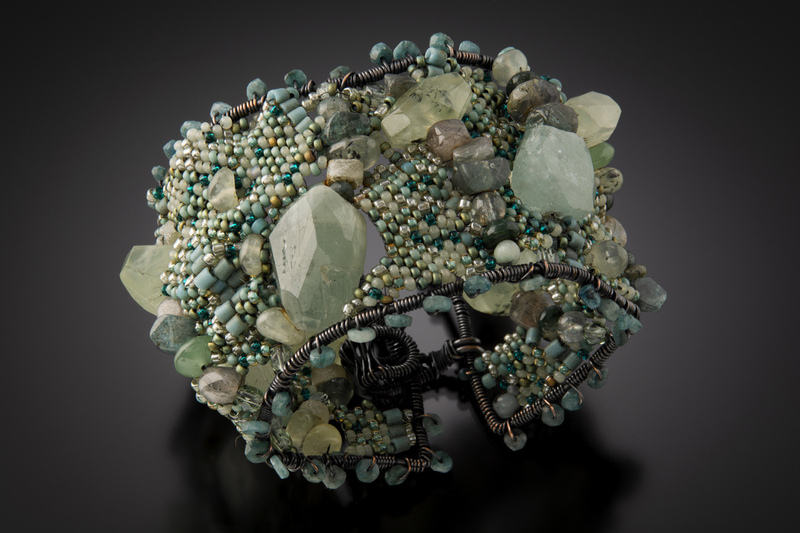 Prehnite stones, turquoise, jade, appatite, labradorite and fluorite. 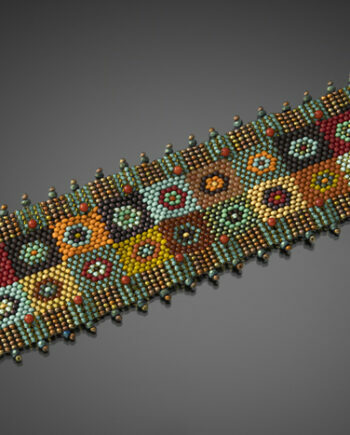 7” circular measurement and 1.75” high. 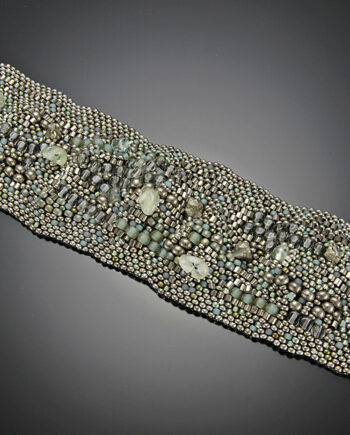 Cuff is light and flexible.